We stock a wide selection of rope handle paper carriers. 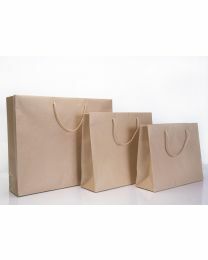 These popular bags come in a brown and white and a variety of sizes. 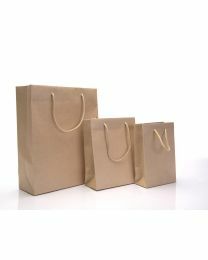 Both elegant and sturdy, these bags are suitable for gift shops, boutiques and other small businesses. 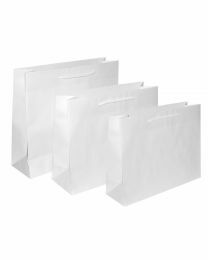 (We also sell tissue paper in a variety of colours at great prices – a perfect accompaniment to these carriers). 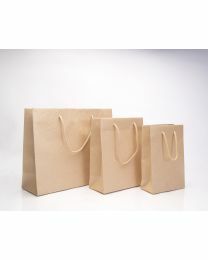 Would you like your rope handle paper bags printed? 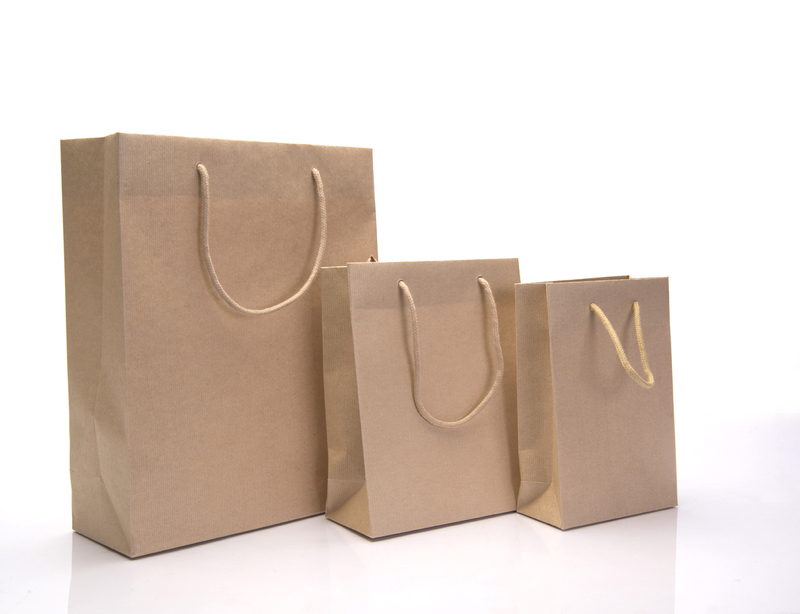 We offer a popular personalised branding service. 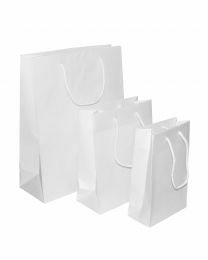 Show us your bespoke logo or full-colour design and it can be transferred to your bags. We’re more than happy to send out samples too. And if you’re not happy with your rope handle carrier, we offer a full money back guarantee within 30 days after delivery. We have an excellent reputation for quality products at the best prices, prompt delivery and for going the extra mile wherever possible.